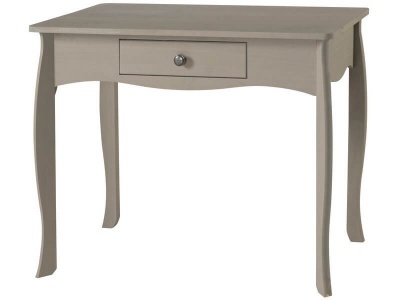 Create the perfect spot for getting ready or for study with the addition of this charming dressing table to your bedroom. Three handy drawers help you to keep your things organised. Textured drawer fronts and table top add character to the piece. Easy glide metal drawer runners. 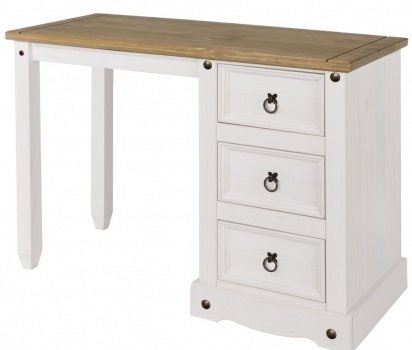 Constructed from white textured MDF and white melamine. Resistant to damage and scratches. Flat packed for self assembly. Full instructions included. Pedestal can be assembled on the left-hand side as shown only. 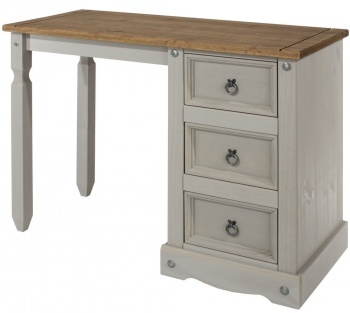 Part of the Hampshire furniture range.